In December 2014, Serbian Government took a loan at the amount of $608.2 million from Chinese state Export-Import (Exim) bank. The money was intended for construction of the third block of Kostolac B thermal power plant and extension of capacities of the Drmno opencast from which lignite coal is extracted to operate the plant. While Belgrade plans new kilowatts of power produced by coal combustion, inhabitants of the village of Drmno, closest to the thermal power plant and opencast, have been requesting to be relocated from this area for more than a year, as they say their living conditions are already jeopardized. For them, the construction project implies a new ash and slag landfill, that is, new pollution, potential health issues, and new fissures at their already damaged houses. Smiljan Grujić, council member of Drmno local community, says that children are much more affected by illnesses than they used to be: “I have two grandchildren. Whenever they have a cold, they have to go for inhalation, which is not normal”. Reseach conducted by the Centre for environmental protection and sustainable development (CEKOR) shows that in four out of five households in Drmno there is at least one household member suffering from some chronic or prolonged illness. Heart diseases and hypertension occur most frequently (55 persons), followed by repiratory system diseases (39 persons), and allergies (22 persons). The research encompassed 162 households and was conducted from February to April 2016. Except for incurring direct harm to the local population, with the construction of the new block of the thermal power plant Serbia works in the opposite direction from the announced turn to renewable energy sources and minimization of emissions of harmful gasses, which is included in global goals aimed at reduction of climate changes. Environmental protection also plays an important role in Serbia’s joining the European Union (EU); unless the project meets all European norms from the beginning, it will have to meet them just before Serbia joins the EU, or at the moment it becomes its full-fledged member. Dragana Mileusnić from organization Climate Action Network (CAN Europe) says that unless Serbia acts in accordance with standards, it will either have to pay enormous fines or close down the thermal power plant. 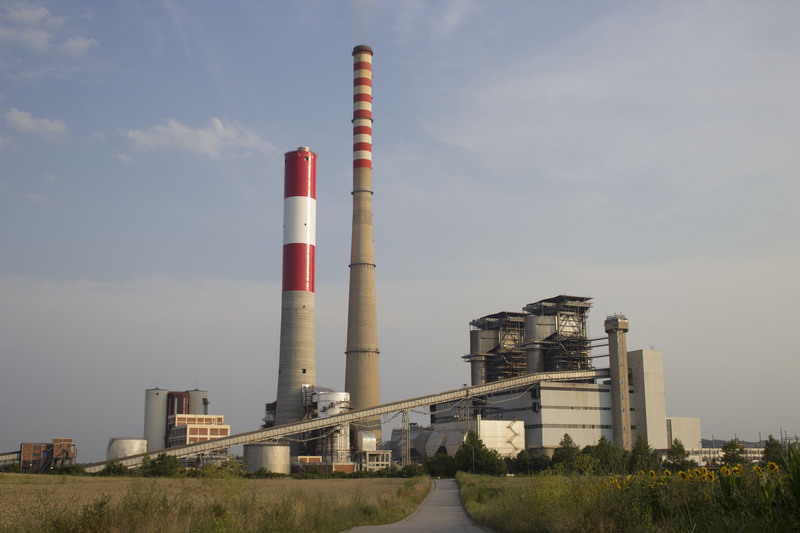 Kostolac thermal power plant, did not accept an interview with journalists from Centre for Investigative Journalism in Serbia (CIJS); however, in a written reply, they state that EPS is committed to harmonizing plant’s operation with domestic legislation and EU Directives. In December 2013, Ministry of energy, development, and environmental protection published the Report on the impact of the energy development strategy on the environment, in which it is stated that thermal power plants in Kolubara and Kostolac lignite coal-field, as well as Mining and Smelting Combine Bor, are the main sources of air pollution in Serbia. The most severe air pollution is caused by combustion of poor quality lignite. Thermal power plants Kostolac generate large amounts of ash, sulphur and nitrogen oxides, the emissions of which occasionally exceed permitted values prescribed by domestic and EU regulations. According to the Brussels-based non-profit organization Health and Environment Alliance (HEAL) report, data for 2013 indicate that four out of 10 largest European emitters of sulphur-dioxide (SO2) are located in Serbia. HEAL based its findings on the European environmental protection agency, according to whom, the existing blocks of Kostolac B thermal power plant took the third place among the largest emitters among European thermal power plants, with 89100 tons of emissions in that year. EPS state that in the previous period significant investments were made in reduction of negative impact on the environment, primarily in reduction of emissions of pollutants, and that more significant investments are to follow. Before taking the loan from Chinese Exim bank for construction of the new block of Kostolac B, Serbia had already taken a loan for reduction of sulphur emissions from the existing blocks. The Environmental impact assessment study for the de-sulphurization plant from July 2015 states that once the plant starts operating, SO2 emissions would be decreased by 97.5%. According to the results of measurements of both blocks conducted in 2012 and 2014, most measured SO2 concentrations ranged between 5,000 and 7,000 mg/m3. The permitted limit value is 200 mg/m3. The de-sulphurization plant for the existing blocks has not been started up yet, while a separate plant will be constructed for the new block. Zvezdan Kalmar, energy coordinator with CEKOR, says that Serbia’s investment in de-sulphurization will reduce pollution, but that it would be even better if thermal power plants were not used at all. He adds that the de-sulphurization plant needs to be subsequently maintained, which calls for quite a lot of money. Dragana Mileusnić from CAN Europe believes that the amount of gasses will be reduced thanks to new technologies, but that there are no guarantees that this will be in accordance with EU standards. SO2 has harmful impact as, together with nitrogen oxides, it results in occurrence of acid rains which destroy forests, have harmful impact on flora and fauna, and also accelerate corrosion of metals. Exposure to high concentrations of SO2 causes respiratory and cardio-vascular diseases, with children, the elderly, and persons suffering from asthma and chronic lung disorders as the most vulnerable. Short-term exposure to nitrogen oxides causes vertigo, while long-term exposure may lead to damage of the respiratory system and increased risk of premature death. It is also harmful for water and crops. HEAL warns that thermal power plants using coal are the major source of pollution with mercury in the region. When mercury emitted by the thermal power plant reaches the environment, it contaminates water and soil, while even low level of exposure may lead to impairment of memory, motor and language skills in children. 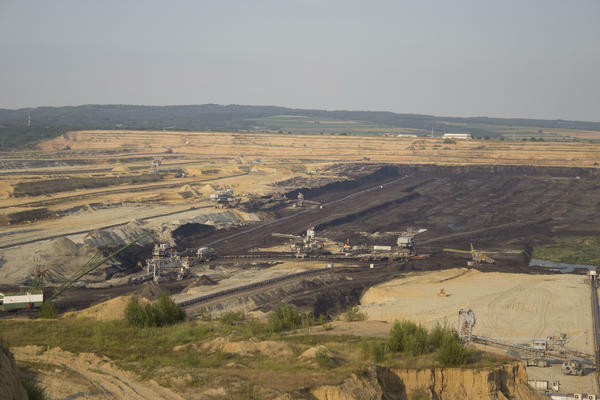 When lignite is combusted, it also releases sulphur-dioxide (CO2) which pollutes the atmosphere and causes global climate changes regardless of the place of emission – pollutants travel hundreds of kilometers away from power plants and out of borders of countries they are generated in. The process of de-sulphurization reduces emissions of SO2 and mercury, but it increases the amounts of released CO2 by about 2%. Slađan Perić, inhabitant of Drmno, says that ash generated by coal combustion also creates severe issues, as it is raised from the opencast ash dump by stronger wind, subsequently falling over the village. In March this year, HEAL published an assessment of healthcare costs incurred due to air pollution, according to which regional pollution from Serb thermal power plants using coal results in allocation of the amount of between 600 million and 1.75 billion EUR a year intended for treatment of patients with chronic lung diseases, cardiac issues and asthma. The energy sector is the major generator of harmful gasses in Serbia; in June 2015, Serbian Government took the commitment to reduce their emissions by 9.8% by 2030 in comparison to the emission level from 1990. Willingness to fulfill this obligation was confirmed by Snežana Bogosavljević Bošković, Minister of agriculture and environmental protection at the UN Climate Changes Conference which took place in Pars in the end of the previous year. Serbia actually achieved the promised goal long ago. In April last year, at a public hearing of the Environmental Protection Committee at the National Parliament, Bogosavljević Bošković said that emissions with greenhouse gas effects (soil surface warming) for 2013 were reduced by 25.1% in comparison with emission levels from 1990. Dragana Mileusnić explains that Serbia is offering a reduction it has already achieved, and that it actually plans to increase emissions by construction of new thermal power plants. She adds that the reason why emissions are now lower than in the 1990s lies in the fact that the economy has deteriorated. Serbia also accepted the obligation to invest into renewable energy sources by promising the Energy community to achieve 27% of final energy consumption from renewable sources by 2020, which does not include power generation from coal. As it has already been written by CIJS , there is no significant progress for the moment being. EPS announces that the new block of the thermal power plant could be finished by the end of 2020 so as to ensure stability of the energy system and compensate for energy production from the existing blocks – as there is a plan that they should stop operating in the period between 2017 and 2038. It is added that the decision in favour of construction was also made because of the expected growth in consumption. Further on, they explain that the growth in power consumption in all areas actually stopped with the economic crisis from 2008, and that consumption was decreased in households, while it stagnates in industry. Still, in long term, due to increased economic activities, power consumption is expected to be “possibly characterized by mild growth“. Aleksandar Antić, serbian Minister of mining and energy, did not accept to talk with CIJS journalists on construction of the new block of Kostolac B thermal power plant. On the eve of the recent visit by high officials from china, Antić had a meeting with representatives of Chinese company China Machinery Engeneering Corporation (CMEC), which is the main contractor for the new block. The press release published after the meeting states that it was “jointly established that construction of TPP Kostolac B3 is the key project in economic cooperation of the two states“. According to the contract on loan, Serbia agreed that the Chinese bank may unquestioningly cede the contract to a third party, while in case of dispute Chinese laws will be applicable laws. Serbia guaranteed for loan repayment with the state budget. Serbia failed to inform Romania, whose state border is located 19 kilometers from the power plant, about the construction plans. Except for the fact that two international institutions are deciding whether to launch proceedings against Serbia because of this business, Serbian Administrative court recently ruled that the decision of the Ministry of agriculture and environmental protection on approval of the Environmental impact assessment study is not legitimate, as it does not contain justification of reasons why cross-border impact was not taken into consideration. Serbia is currently preparing a new Environmental impact assessment study which will include Romania, ever though so far it was claimed that the existing study, composed in 2013, was adequate, and there were no risks of the environment of the neighbouring country.